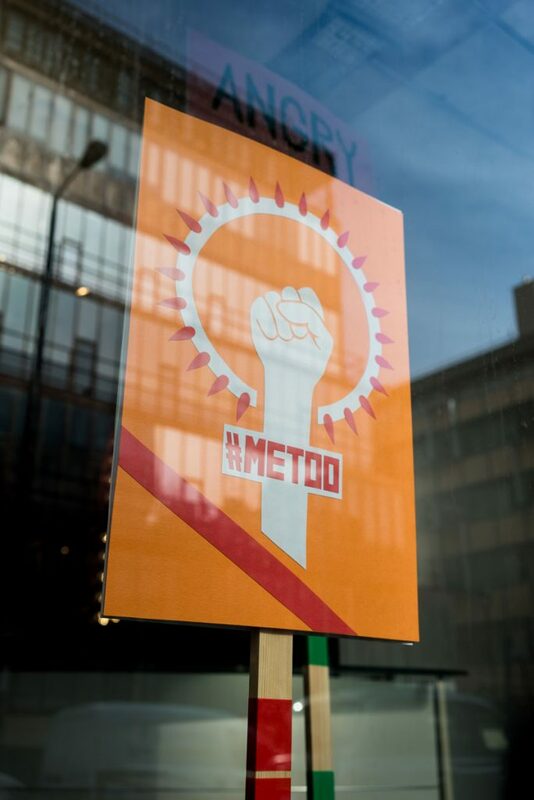 Creative agency isobel is supporting the #MeToo campaign as part of International Women’s Day on Thursday 8th March, with a vibrant, no-holds-barred window display in collaboration with artists Oksana Valentelis and Ali Alvarez. 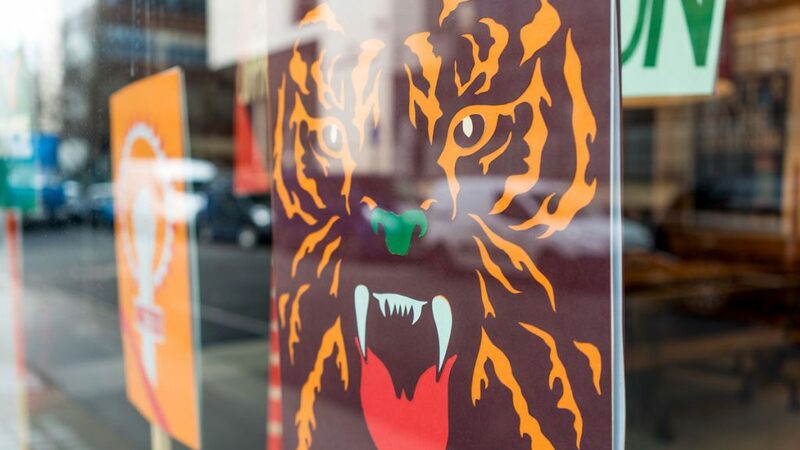 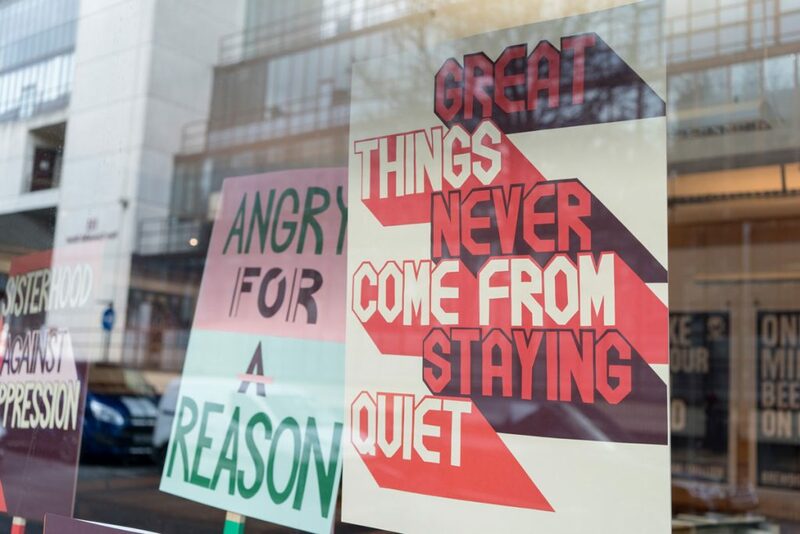 isobel’s New Cavendish Street glass frontage, in London’s Fitzrovia, has been filled with colourful, handmade protest signs as part of the creative agency’s regular ‘windowplay’ events. 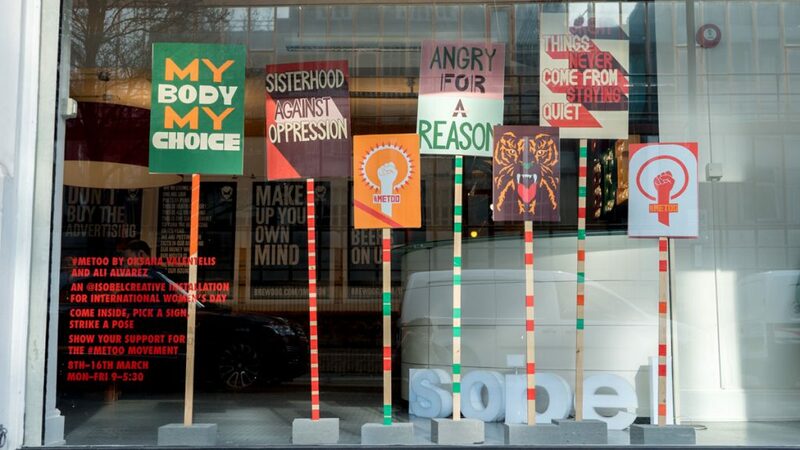 Placards bearing the slogans ‘My Body My Choice, ‘#MeToo’ and ‘The Tables Have Turned’, among others, capture the theme’s hard-hitting message, but with an accessible and optimistic spirit. 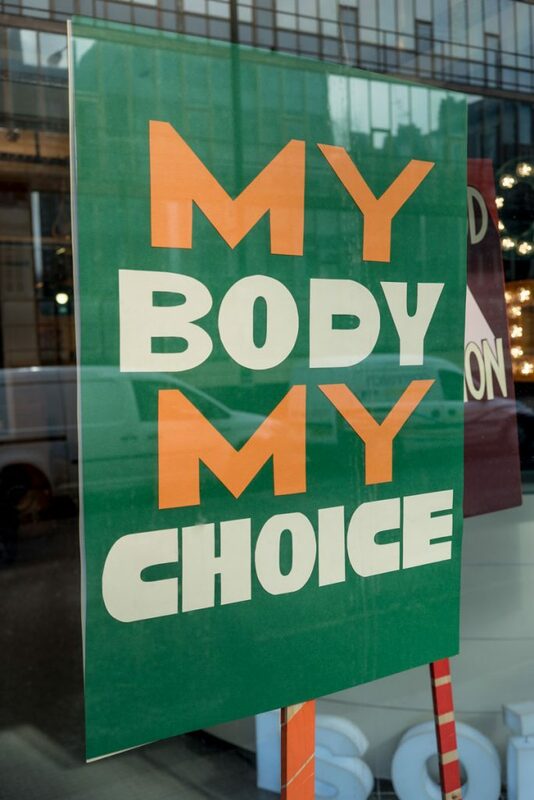 With half of the Hollywood elite currently helping the police with their enquiries, and the World Economic Forums’ Global Gender Gap Report stating that, at this rate, it will take 217 years to close the pay gulf, the timing couldn’t be better!